One man's love of fishing and a business plan opened up the Warm Springs Reservation to fishermen from all over the West. Put the boat in the water at the Warm Springs Crossing, but don't touch the west bank on River Left. Unless you're fishing with a guide from the Warm Springs tribes, that's the forbidden water. 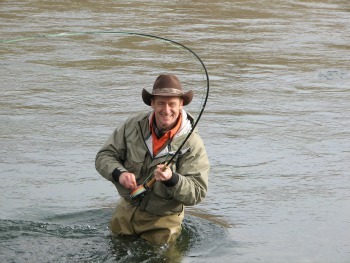 That's the thing everyone who fishes the lower Deschutes learns one way or the other. Anyone who has drifted from Warm Springs to Trout Creek, anyone who has swung a fly at South Junction or bounced through White Horse Rapids has seen Al Bagley or one of his boats, working River Left. Bagley started his business, River Bend Guide Service, in 1997. At the time there were no other fishing guide services that operated on Warm Springs land. "I knew nothing about fly-fishing. I broke rods in trees, I didn't know anything about rowing that boat, or tying flies. 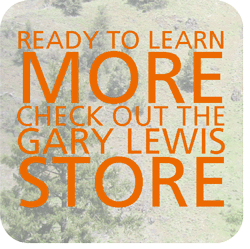 Everything I learned about fly-fishing, I learned with clients," Bagley said. There was a lot to learn, but Bagley had a love for fishing, he liked people and he had a head for business. Bagley drew up a proposal and took it to the tribal council. "Back then we had elders on the Fish and Wildlife Committee. I asked them what they thought and they liked the idea of tribal members going into business. I sat in front of them for two hours and presented to them what I wanted to do." The elders and the tribal council said to give it a year and see what happens. Bagley wrote his projections and finished with a plan showing where he hoped his business would be in five years. "I blew that five year projection out in one year." Bagley, whose tribal heritage is Warm Springs, Wasco and Pit River (California), went to school at Lower Columbia Community College, worked for half a decade for Weyerhauser then brought his education back to the reservation. He was hired at Kah-Nee-Ta Resort and started into the management trainee program in the mid-1970s. He worked his way through management in food and beverage, front desk, purchasing agent, night manager, the village, sometimes holding more than one title at a time. And he fished. He took clients and friends down to the river with hook and line and nightcrawlers. "Lots of nightcrawlers." And through the years he saw more and more anglers drifting down River Right, catching fish on the surface on big bugs that mimicked the salmonflies that clung to the tall grasses. One of those anglers was Bill Monroe who penned a mighty column in the Oregonian newspaper in those days. Both Monroe and Pat Dorris from News Channel 8 did stories on Al and the opportunity he had found on River Left. Bagley credits their work with his business successes. In 2002, at the five-year mark, Governor Kitzhaber presented Al Bagley with the Businessman of the Year Award, for an outstanding minority service firm. I met Bagley in 2002 when he was five years into his business and had worn down the rough edges on his fly-fishing. We fished single-handed rods that day with sink tips and articulated leeches. Al watched from the bank as I cast, mended, swung and stumbled downstream. Soon, Al headed upstream. “I’ll go up around the corner, by the time I get to that tree there,” he said, pointing, “I’ll have a fish on.” And it was so. Al landed and released a native steelhead, and we moved on. We moved downstream and Al pointed to a riffle and told me how to fish it. Fish on! I saw it flash and roll, breaking the water with its dorsal fin. Then my line went limp. Cast, mend, swing. Fish on. By the time, I had completed the run, I landed two steelhead and hooked one more. Any steelhead is a good steelhead, but Al had told me I was going to hook a runner today and I hoped he was right. I kept fishing. Downstream, I landed a third steelhead, admired it and let it go. The next fish hit like a sledgehammer and ran like a freight train through my fly line and into the backing, making the reel sing. Burning downstream through the riffle, he ran, through another hole and into the next riffle. I began to wonder if I would ever see that fly line again. I ran, stumbled, fell in up to my chest, got up, fell again, clutched at branches with my left hand, tried to keep the tip up with my right hand. I gained a little line back as the river swept me along. And I watched the sole from my right boot float away, torn off by a sharp rock. Three hundred yards downstream, I caught up to my fly line and the fish. It shook its head and took off on another run, snapping my leader. I never saw that steelhead, but I'll never forget it. When next we fished together, it was a day when the water froze in the guides and I brought a friend who had yet to catch a steelhead on a fly. "It will be very hard today," Al told us, "but you will both get a fish." And it was so. "We watch the weather, barometer and water temperature and what the conditions have been. You can definitely predict what's going to happen that day." Matthew Mendes, 25, has been working with his Grandpa Al for ten years and, since he graduated from high school, has been his right-hand man. "There are a lot of factors that key into predicting how a day is going to go - general knowledge of the river system, the count and the number of fish we've landed. And it depends on the time of year. In May and June it's hard to not have a good day." 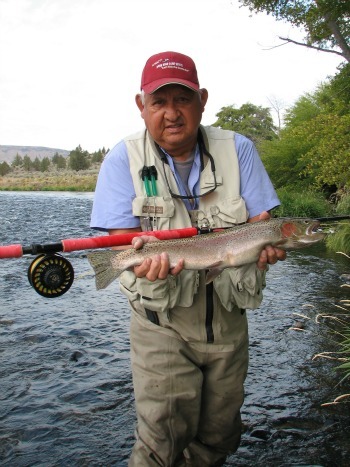 When two-handed rods came into vogue, Bagley watched, learned and practiced. And he made sure his grandson learned how to handle a Spey rod. Mendes has been fishing his whole life, but he has been guiding since he was 15. He gives most of the credit to his grandpa, but like Bagley, he says a lot of what he knows he learned from clients. "Flyfishing is pretty much my life. I love dry fly fishing," Mendes said. And when he talks dry flies, he's talking steelhead. "That's my kick. I like catching steelhead on dry flies, watching that big old fish come up and take a fly. The reservation waters are a big old playground." "I had Matthew on the boat at an early age," Bagley said. "Back in those days, I'd do 40 trips in a row without a break, now he runs 75 percent of the trips." If Bagley was asked to sum up his business strategy today, he might say, "The river changes every year so you have to change too." For River Bend Guide Service, the busiest months are May and June, during the salmonfly hatch and the action heats up again September into January when summer steelhead are in the river. In May and June, the reservation lands are green and horses feed close to the river. There is a lot to see on a float down from Warm Springs. "A lot of guys have knowledge of the river," Bagley said, "I wish they would learn about the land, about the people and the culture." The Warm Springs Reservation is home to Wascoes, Warm Springs and Paiutes. The Wascoes lived along the Columbia at what is now The Dalles and at the mouth of the Hood River. Prior to the establishment of the reservation, the Warm Springs bands lived along the tributaries of the Columbia. They spoke Sahaptin and built scaffolding over waterfalls where they fished with long-handled dip nets. The Paiutes spoke a Shoshonean dialect and, prior to the arrival of settlers, lived on the high plains of Lake, Harney and Malheur counties in Oregon. Under the treaty of 1855, the Warm Springs and Wasco tribes relinquished ten million acres, but kept the Warm Springs Reservation for their exclusive use. Paiutes began to move to the reservation in 1879 after the Bannock War. In 1937, the three tribes adopted a constitution and by-laws for tribal government. Today, tribal elders encourage members to start small businesses. Al Bagley's company, River Bend Guide Service serves as a model for other tribal members. And the fish, as it has always been with the Warm Springs and Wasco, is central to success. Back in the days of hook and line and 'crawler, he kept a lot for the table, but now, he says, it has been years since he has killed a trout or steelhead (unless it was a hatchery fish headed to a client's table). His is a Warm Springs success, an American success story. He credits his management training for the background he needed, but his most important resource is a fisherman with a fly rod in hand.